LSMS distribution is now provided as a single windows installer and does not require Cygwin. Just execute the installer and a shortcut to run LSMS will be placed on your desktop. Read the instructions under the Help/Readme for further information on using LSMS. OpenGL and GLUT. You can compile and run LSMS provided that you have the required OpenGL and GLUT libraries. The executable in the current distribution is compiled and tested under Windows XP, Cygwin environment. The cygwin, OpenGL, and GLUT DLLs are also included in the distribution, so the executable (levelSet.exe) can be run on any Windows machine. Using command prompt go to the directory where you unzipped LSMS.zip. Type "levelSet.exe data/2aid.pdb 256 1.4 0" or click on LSMS.bat inside a windows explorer window to test the program. T. Can, C.-I. 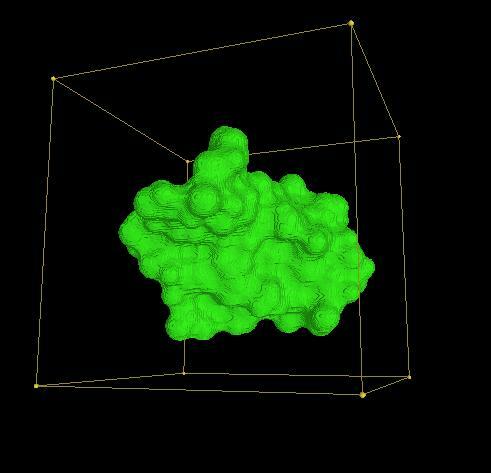 Chen, Y.-F. Wang, "Efficient molecular surface generation using level-set methods," Journal of Molecular Graphics and Modelling (JMGM), in press, corrected proof, (April 18, 2006). Link. You may contact if you have any problems running LSMS.